Australian next generation nutraceutical company, Entity Health, is encouraging people to escape the pressures of life with RevitaliX, following new research showing family, finance, work and health are the biggest stressors for most Australians. New nationwide research commissioned by Entity Health of 1000 Australians1 shows almost a fifth of respondents (18.2 per cent) are highly anxious, claiming they experience stress at least five times a week. The study1 indicates family issues (45.6 per cent), personal finances (40.6 per cent), work (38.3 per cent) and health concerns (34.9 per cent) were the top sources of stress. Almost a quarter of respondents (24 per cent) indicated that to help de-stress they listen to a great song, but people were more likely to speak to someone they trust (35.6 per cent) or sweat it out with some exercise (34.6 per cent). 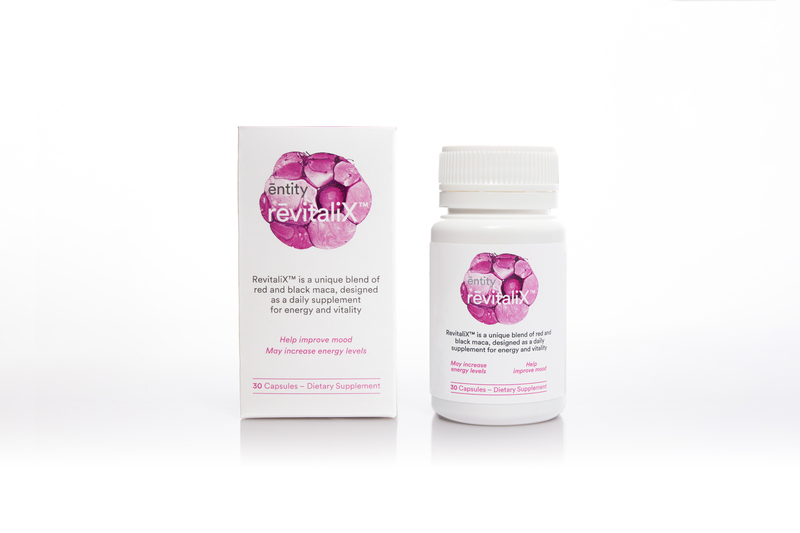 To alleviate daily stress, Entity Health has launched RevitaliX. Developed and produced in Australia, RevitaliX helps reduce the effects of stress and anxiety by using a unique blend of red and black maca, a herbaceous plant that grows at high altitudes (above 4000m) in the mountains of the Peruvian Central Andes. RevitaliX helps improve mood and promote relaxation. Dr Iain Cook, Chief Scientist at Entity Health, said the pace and pressures of modern life can be exhausting, and people are increasingly looking for natural solutions to help their mood. RevitaliX helps reduce the levels of cortisol in the body, while also regulating dopamine and serotonin production to alleviate symptoms of anxiety, allowing the user to feel a sense of calm almost immediately. As well as reducing cortisol in the body, the hero ingredient in RevitaliX, maca, comprises GABA, an inhibitory neurotransmitter that employs a calming effect on the nervous system. This is vital for the control of stress, which subsequently alleviates the symptoms of poor mood and promotes relaxation. “Since taking RevitaliX I have had felt a lot calmer and more relaxed and my overall mood has improved. I have been able to manage stress better. I have not had any physical symptoms of anxiety and I am sleeping better. I have incorporated other strategies in my life as well as taking RevitaliX. I have been exercising more and doing guided meditation daily. Doing all these things has improved my wellbeing and I am feel happier and healthier”. A ‘goodMix’ of Eat. Play. Poo Is stress sabotaging your client’s health and fitness goals?